A truckload full of gear just to pull off some nice aerial shots? These days are certainly over. In 2018 all you need a modestly sized backpack, a smartphone and off you go. Inside that backpack? 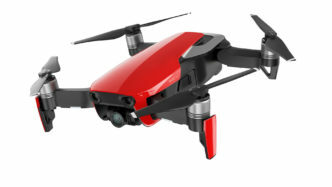 A Yuneec Mantis Q foldable drone, a couple of batteries and some sunglasses for that awesome selfie you are about to snap. The above picture of the new Yuneec Mantis Q drone might look somewhat familiar. DJI kind of introduced this form factor and the foldable design with their Mavic line of foldable travel drones. Especially the Mavic Air looks almost identically to the new Yuneec Mantis Q. So apart from the similarities, what are the differences? Yuneec Mantis Q One thing needs to be said upfront: The Mantis Q does not feature a 3-axis hardware gimbal for stabilizing the camera. 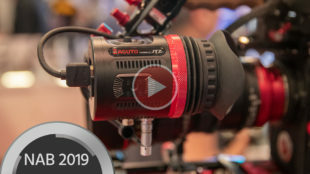 It does offer electronic 3-axis stabilization but that’s certainly not the same thing. If this is a downgrade in quality? We don’t really know yet but that’s something worth checking out for sure. Apart from the missing gimbal, this little drone is pretty feature-packed! 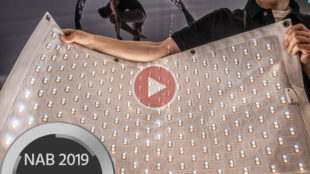 Watch the video below to get an idea what’s the Mantis Q is capable of: So what do we have here: Video resolutions of up to UHD 4K (3840 x 2160) @ 30fps or FullHD (1920 x 1080) @30fps/60fps. Note: Electronic video stabilization only applies when FullHD video is being captured, not in 4K. The camera’s heart is a 1/3.06 inch CMOS sensor that captures videos in either MOV or MP4 formats on to a microSD card. The Mantis Q can stay up in the air for a solid 33 minutes, with no harsh winds involved and at a moderate speed of about 25 km/h. Speaking of speed: In sport mode it can achieve top speeds of about 72 km/h! The camera can tilt from -90° to 20° but it can’t be panned horizontally. For that you need to move the drone itself. But being able to tilt -90° down towards earth is a great angle of view, at least for my taste. The whole thing weights 480g (1.06 lb) and is 250 x 187 x 58 mm (LxWxH) / 168 x 96 x 58 mm (LxWxH, folded) in size. It can snap stills, too. The Mantis takes pictures with a resolution of 4160×2340 (16:9) or 4160×3120 (4:3) pixels in JPEG or DNG format (for later editing). Did you bring your fancy sunglasses for some selfies? The drone comes with a dedicated hardware controller which houses your smartphone (iOS 9 and above / Android 5.0 and above). You actually don’t have to use the controller. A smartphone with the app will do but the hardware receiver will perform better in terms of latency and range, obviously. As with a lot of devices nowadays the accompanying app really brings the Mantis Q to life. There are several convenient modes available, all of them taking away the pain of manually controlling the drone. Different Modes In Journey Mode, the Mantis Q will fly upwards on a linear path for a cool shot and then return automatically. Point of Interest: Select an object while in POI (Point of Interest) mode and the Mantis Q will circle this object automatically. A Return Home mode might come in handy when you’re not so sure where the drone actually is right now (although you definitely should know that!). 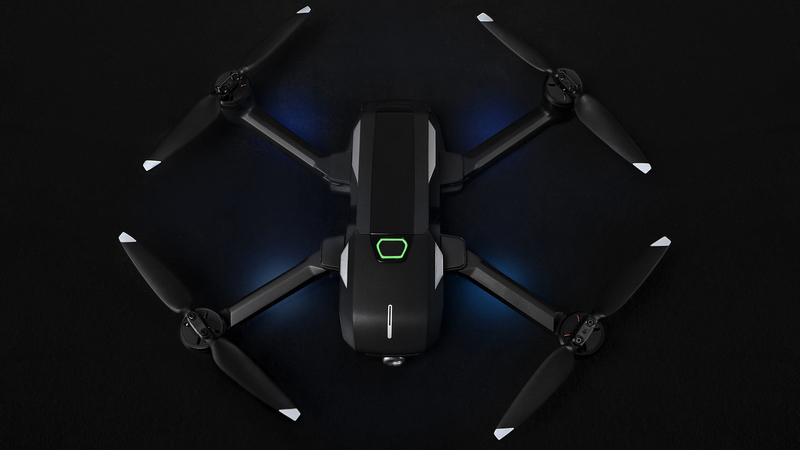 The Mantis Q is also suitable for indoor flying: Its IPS and ultrasonic sensors take over so the drone is independent of GPS or GLONASS satellites. Speeds of up to 15 km/h in indoor environments are possible. The sensors perform obstacle-avoidance, too. The drone can be activated and controlled by voice commands as well as by gestures. To me this is a little gimmicky but at least it’s there. You don’t have to use it but then again.. what about that awesome sunset selfie? Just smile at the Mantis Q and it will fly into position and take the selfie for you. A more useful feature is the ability of following a moving object (or subject of course) by visually tracking it. That way the drone autonomously follows any object without without you having to do anything. 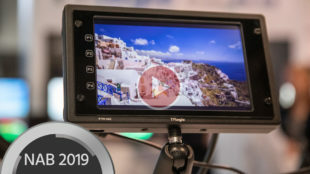 Pricing and Availability The Yuneec Mantis Q will start shipping in September and it sells for $499. 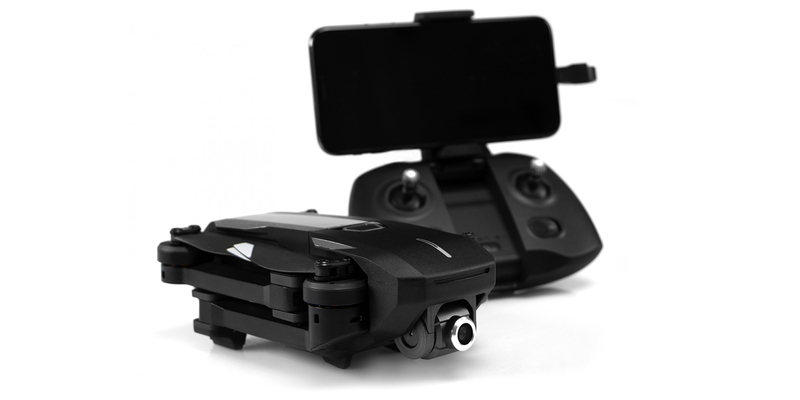 There are two different versions available, the standard pack contains the Mantis Q itself, controller, battery (1 pc. ), spare rotor blades (1 set), screws (8 pcs. ), serial 3-port charger, power and USB cable. The X Pack adds a dedicated photo bag, 2 more batteries and an additional set of blades and screws. 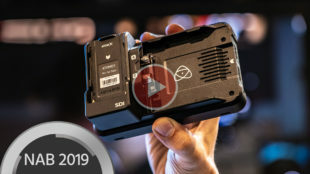 This drone sure looks interesting but the lack of hardware stabilization, limited frame rates and the complete absence of any stabilization when shooting in 4K is a real bummer. Most of the features such as visual tracking are software-based. I think this could be a really cool drone if the hardware was as innovative as its software features.. But in contrary to software the hardware of the Mantis Q can’t be upgraded over time, unfortunately. At $499 it comes at a pretty competitive price, though. Links: Yuneec.com Do you own such a so-called travel drone? Which one and what are your experiences with it? Let us know in the comments below! DJI Mavic Air Hands-On Video: Welcome to Monaco! DJI invited us to Monte Carlo for their big European introduction event of the Mavic Air, and it was my chance to shoot a Mavic Air hands-on video. Let’s see how it performed! 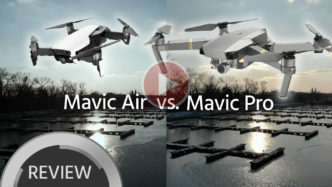 Mavic Pro vs. Mavic Air – you can see the significant difference in size! We reported about the introduction of the Mavic Air last week. Just a day later, I was flown to Monaco with dozens (if not hundreds) of other bloggers, vloggers, influencers and some retailers, all of which were presented the new drone by a number of DJI representatives. Their choice of location could not have been better during the miserable winter weather in the rest of Europe. The hotel they booked is located right by the sea and is a truly perfect spot for some spectacular aerial shots without having to fly far at all. Huge amount of new and better sensors on the Mavic Air. 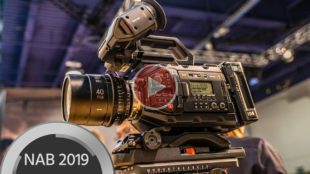 Higher bitrate makes clearly better images, no upgrade for Mavic Pro Their choice of the press audience clearly showed that they see the Mavic Air as their new premium consumer drone. However, due to the higher bitrate of 100 MBit (compared to the 60 MBit of the Mavic Pro), it ups the video quality of the new drone considerably. We also learned that upgrading the Mavic Pro will not be (technically) possible, which makes me wonder how the higher price can still be justified. 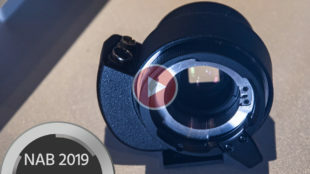 (Yes, there are other features than the image quality, like for example longer battery running time and OcuSync transmission – however I consider image quality the most important factor among those three). The controller got a facelift and looks similar to the one of the Spark. QuickShot functions, Smart Capture, HDR, Sphere Mode …. The new QuickShot function Boomerang is surprisingly beautiful to reveal a location and will clearly find its way into many also professional productions. The “Asteroid” QuickShot is a fun gimmick for social media but will not be useful for professional productions. Smart Capture is fun for amateurs or hobbyists and now works really well, yet a use case for a pro filmmaker is not there. 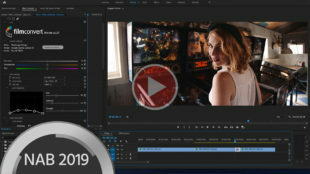 What’s impressive is the HDR capturing of images which delivers three exposures plus a pre-rendered HDR image. And last but not least also the sphere mode which generates a spherical image with 32 Megapixels by stitching together a lot of automatically taken photos – simply mind-boggling technology. Field-of-view While I originally worried about a wider field-of-view of the Mavic Air compared to the Pro, it did not bother me at all when using the drone in Monaco. 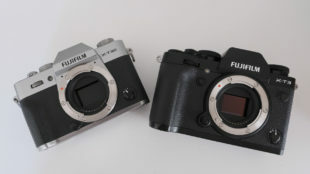 This is something that will have to be seen side-by-side because to me it didn’t feel like the difference between the two is significant at all (but it’s supposed to be 24mm equivalent on the Air and 35mm equiv. on the Pro, according to tech specs). Conclusion There will be a lot more to say about the Mavic Air once we can test and review it, but for now this video and my original post about the drone are quite comprehensive about my impressions. I predict that it’s going to effectively cannibalise their own Mavic Pro. I can see only a slim minority of people still being interested in this (slightly more expensive) drone now that a new quality and size King is out. Soundtrack for the above video is taken from Art list. Music title: Theevs Music – Last Night Full disclosure: I, together with other media representatives was a guest at DJI Mavic air launch event in Monaco. DJI paid transport and accommodation for that two-day roundtrip. There was no other payment involved whatsoever. 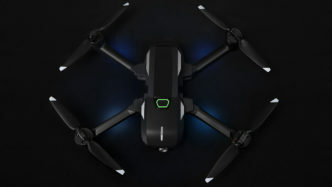 What are your first thoughts about the Mavic Air? Let us know in the comments below.